A fresh morning, I leave the house through the local garbage cans ... all of a sudden, my eyes are attracted by a flower bask quietly sitting on the floor with the other trash. It is beautiful, vintage and elegant. I know I can do a few things with it. Quick thinking ... that's it! I know! 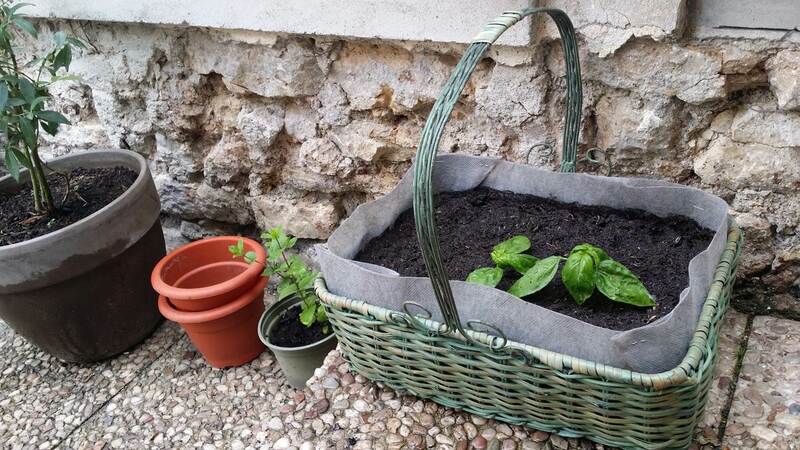 A very good birthday present for Laurent: a romantic vegetable garden in recycled flower basket! 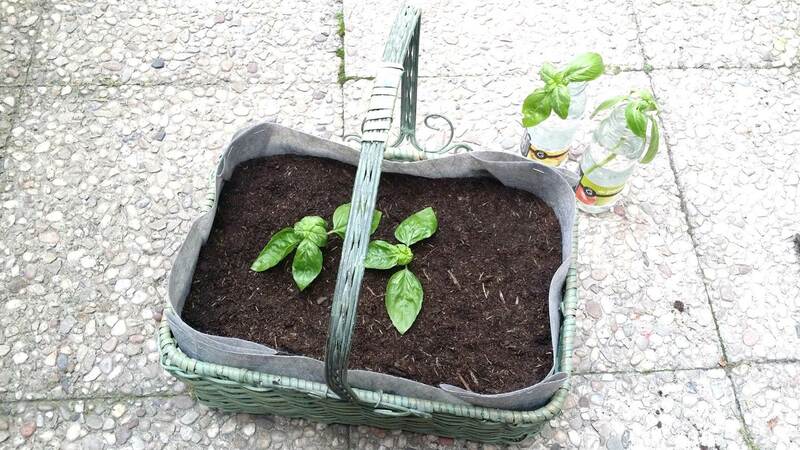 Get the flower basket and install it in front of the window. Graduated in Biology and Master of Waste Management, Laurent is a naturally ecological boy in life. 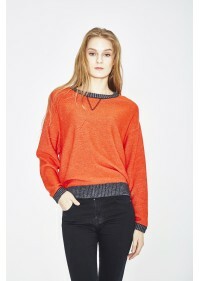 I was influenced by him day by day, I began to be careful not to throw away the food, to sort out the waste ... finally I created my own ecological brand WENHUA DUVERGÉ who dresses women ethically to share the 'Eco concept by wishing that more and more people can enter the' Eco life 'like me. 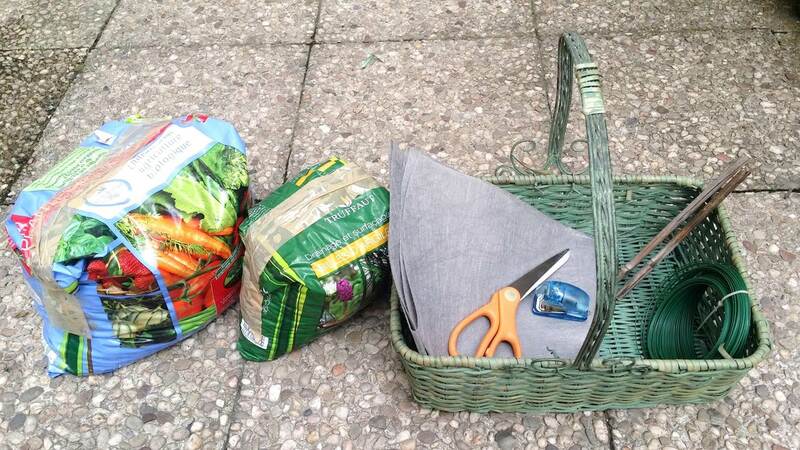 So, a gift made with recycled items will make Laurent happy! The installation of the feet. 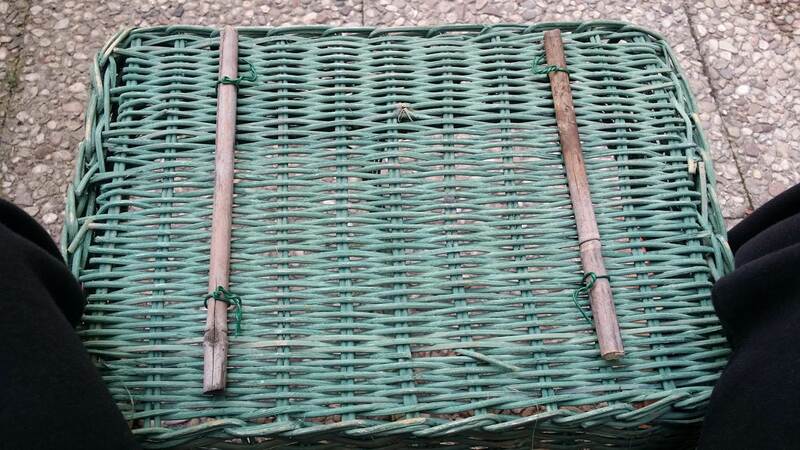 I found an old stick in our large vegetable garden. Estimate the length, cut the stick in half with the saw of Laurent. 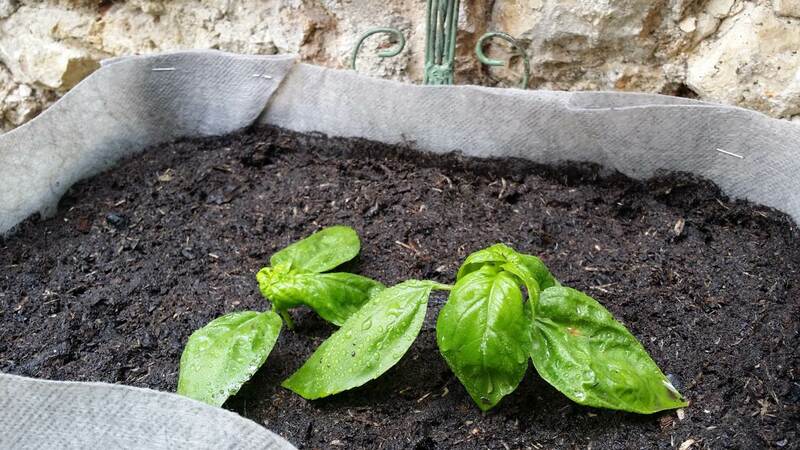 1 a sachet of organic potting soil. 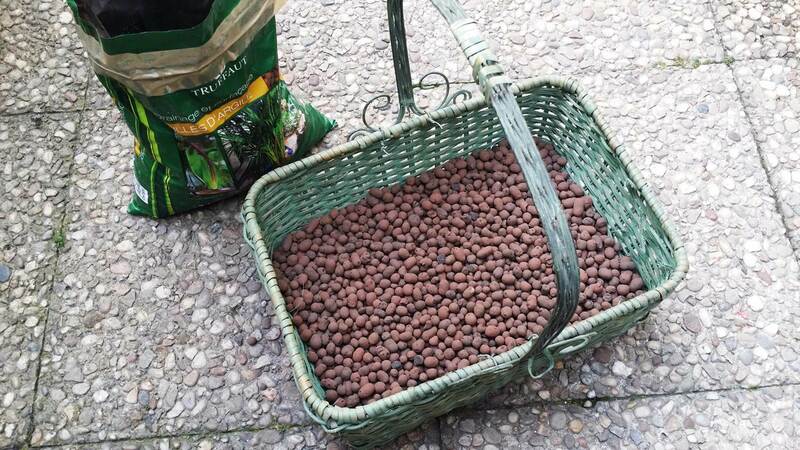 2 a bag of clay balls. 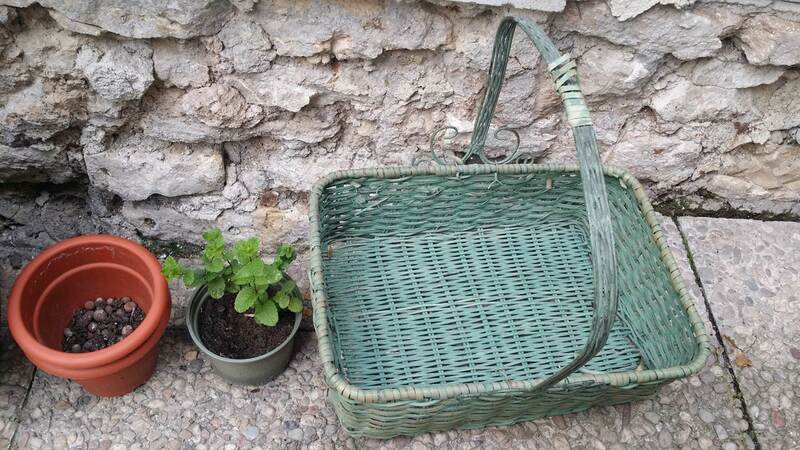 3 the flower basket. 4 a piece of non-woven fabric (Geotex Balcony). A pair of scissors for cutting the fabric. 6 a stapler. 7 a thin metal wire. 8 the two sticks. 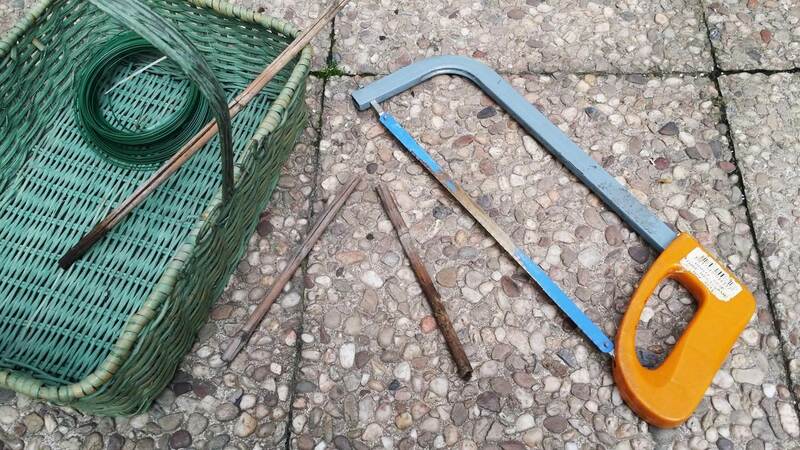 9 a pruning shears (not on the picture). 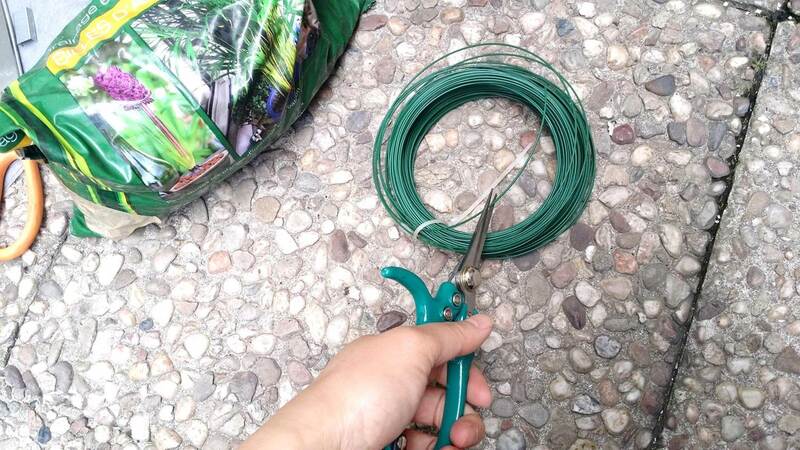 1, Estimate the length to attach the stick, cut the metal wire with pruning shears. 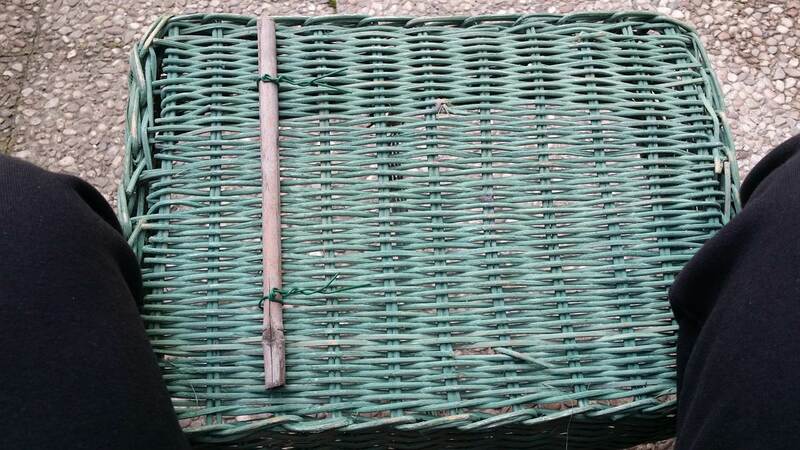 2, Turn the flower basket over, block it with both knees, install the foot to the left. 3, Install the foot to the right. 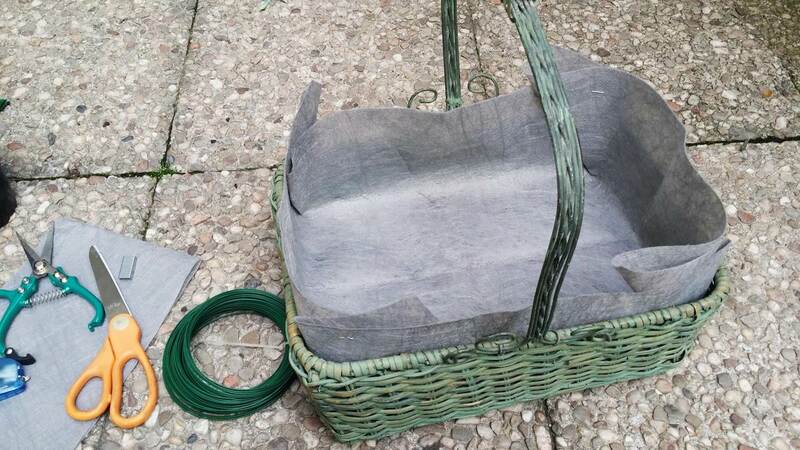 4, Place the clay balls at the bottom of the basket. Height 2 cm surroundings. 5, Prepare the non-woven fabric. Place it on top of the clay balls, put the four corners in a triangle. Secure with stapler. 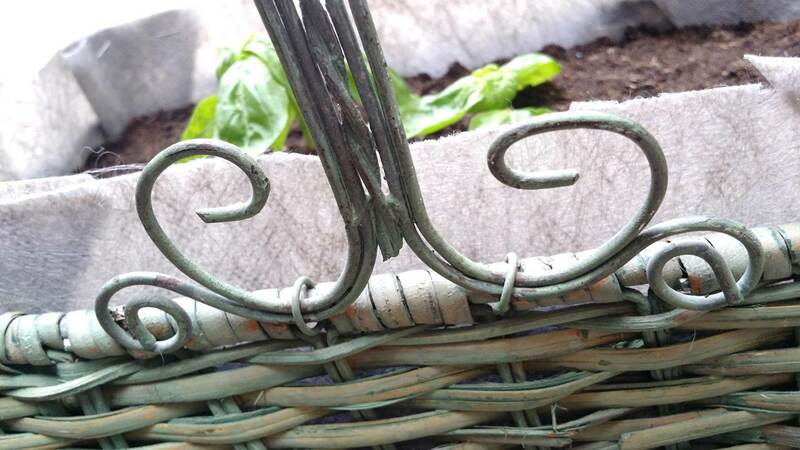 The vegetable garden in recycled flower basket is tidy at this stage. 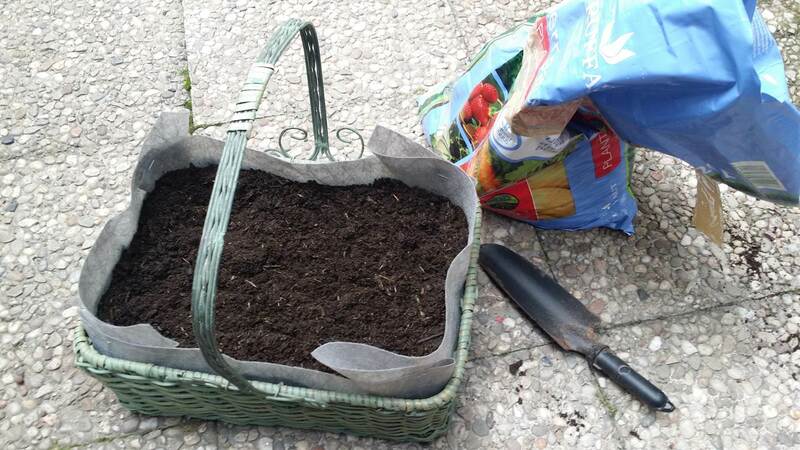 6, Place the organic potting soil in the vegetable garden. 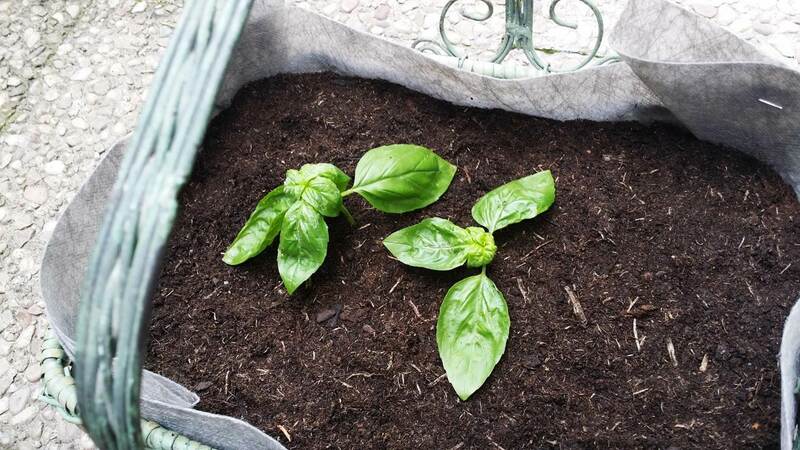 7, Fill organic soil to within 2 cm of the edge of the vegetable garden. 8, The installation of the first guests. 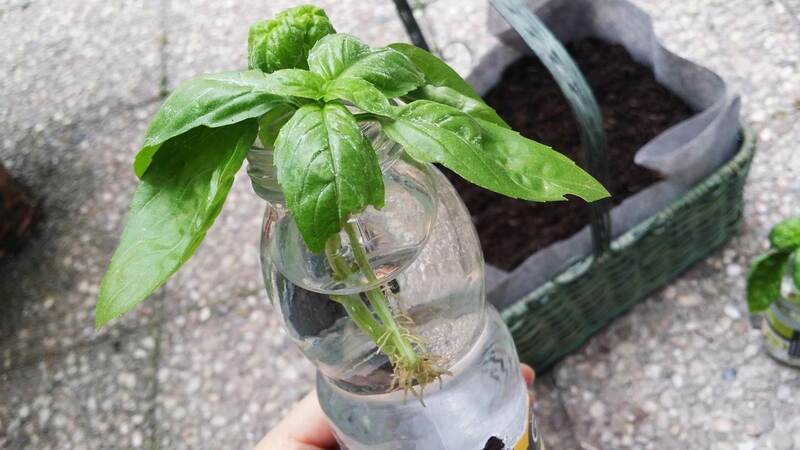 I brought organic basilic which I made grow up in the water. 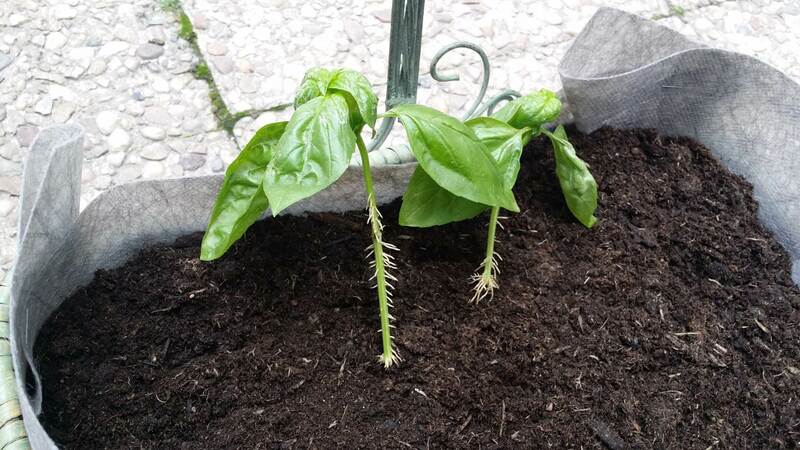 The roots of organic basilic have already developed. 9, Choose a boy and a girl who have the most roots. 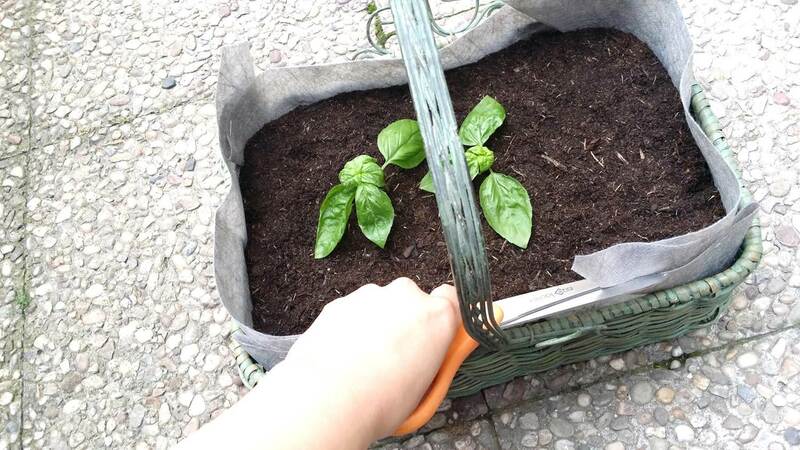 10, Well organize the planting space thinking of the guests to come in the future. 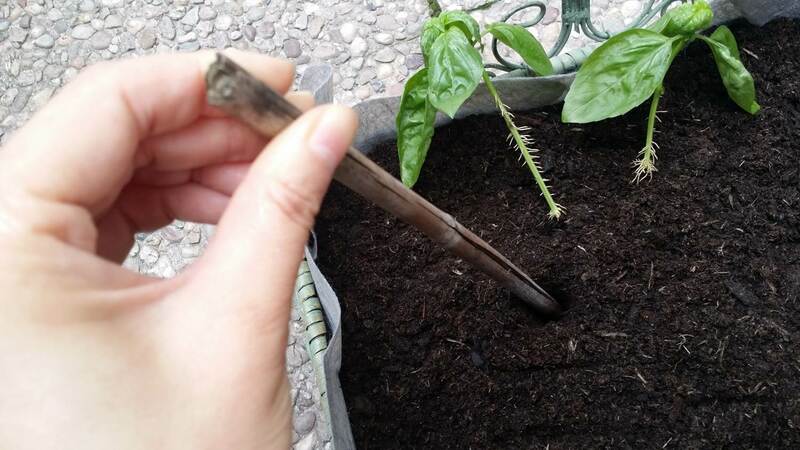 Make a deep hole with a stick. 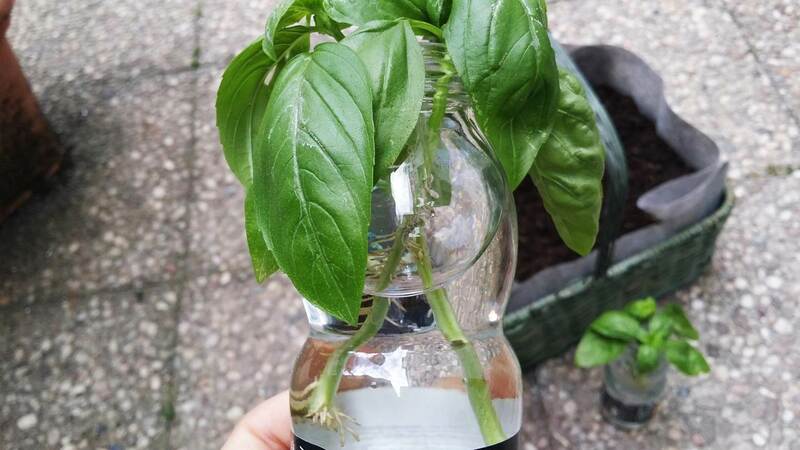 11, Install an organic basilic, put all the roots in the hole. 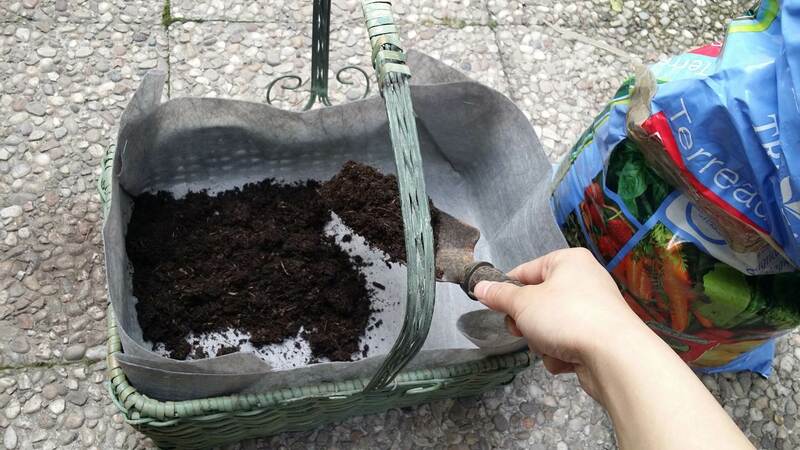 Tamp the soil with the hand. 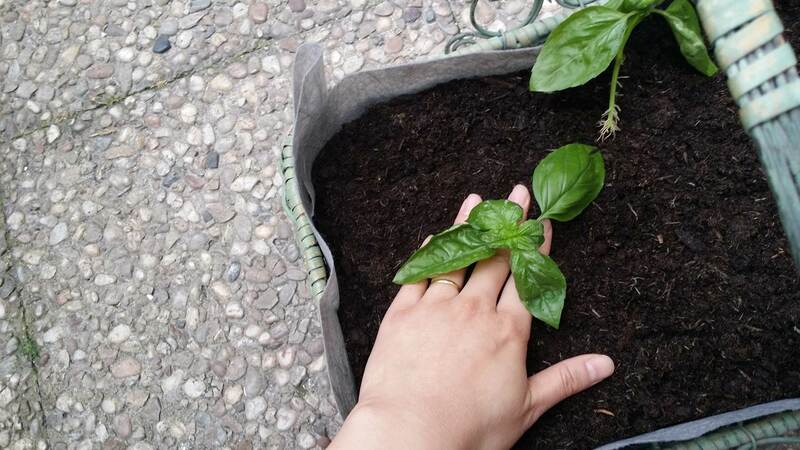 12, The installation of the second organic basilic. The distance between the two is about 10 cm. 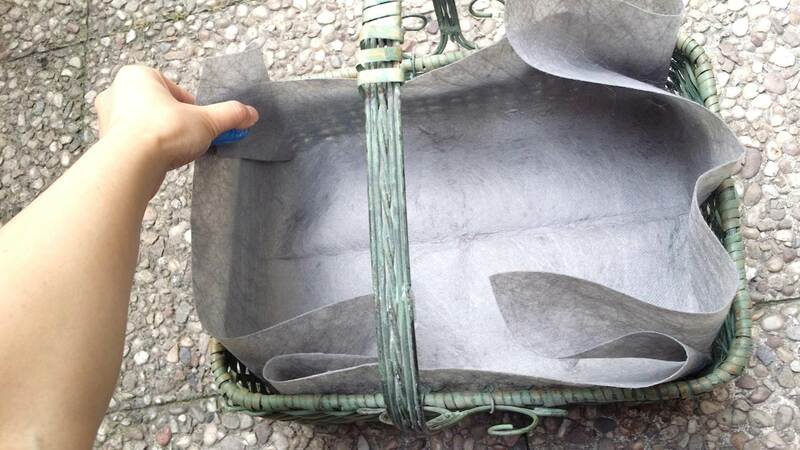 13, Store the non-woven fabric in attractive shape. Cut the edge with the cloth scissors. 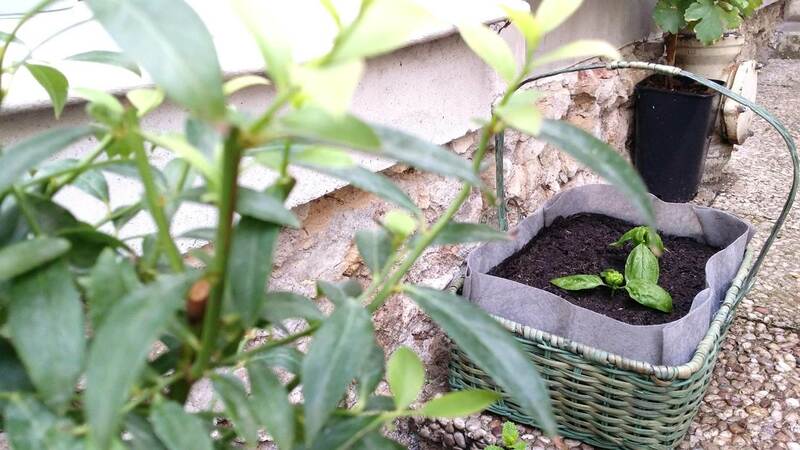 14, Move this beautiful vegetable garden in front of the window. Water gently and copiously until the water comes out from below. That's it! 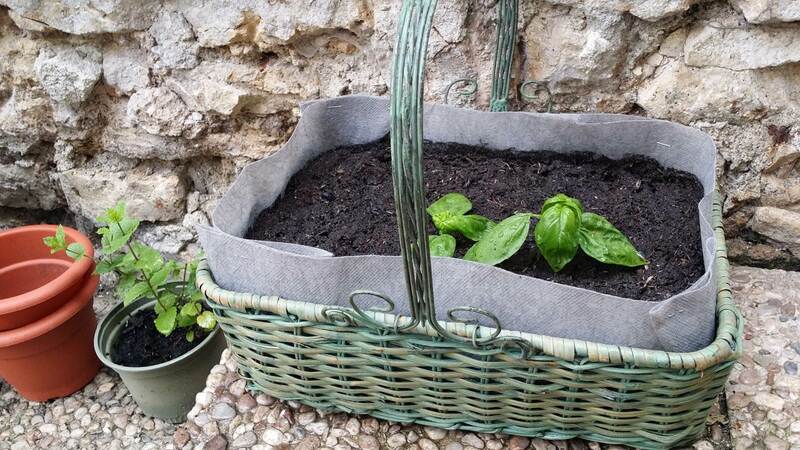 A romantic vegetable garden in recycled flower basket is born! The guests will rest well, as soon as they recover their energy, they will grow up calmly. We can help reduce the quantity of waste on our planet. An object ended up in a family. Instead of being thrown, incinerated, it can be reborn in a new family and continue to flasher our lives. 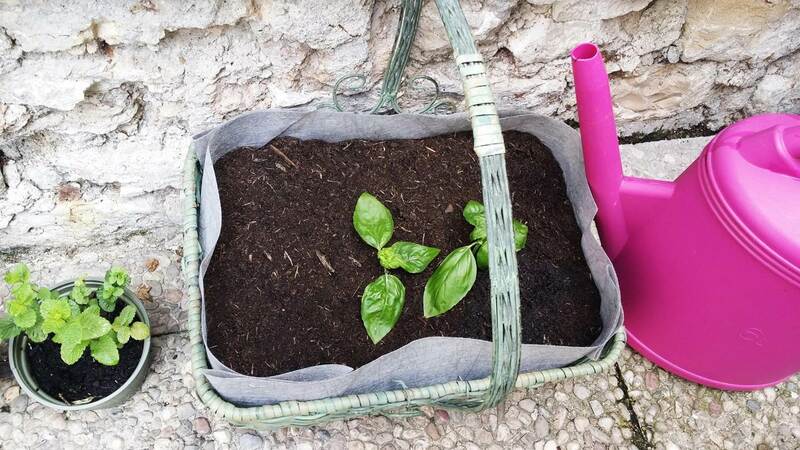 Recycled life with zero waste.